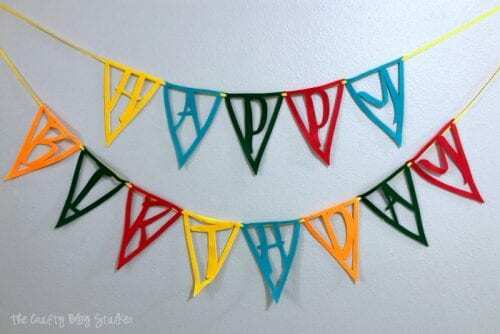 Make a Felt Birthday Pennant Banner using the Cricut Maker! 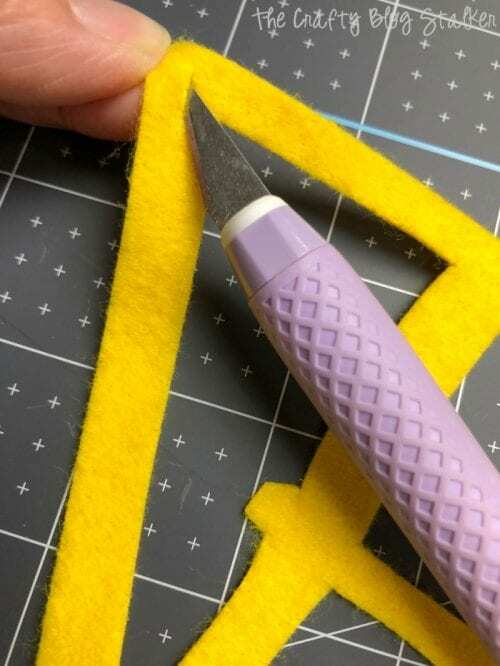 Video tutorial included on how to cut the Alphabet Pennant Banner Pieces in Cricut Design Space. Do you love birthdays? I love celebrating with friends and family on their birthday. It is such a special day! 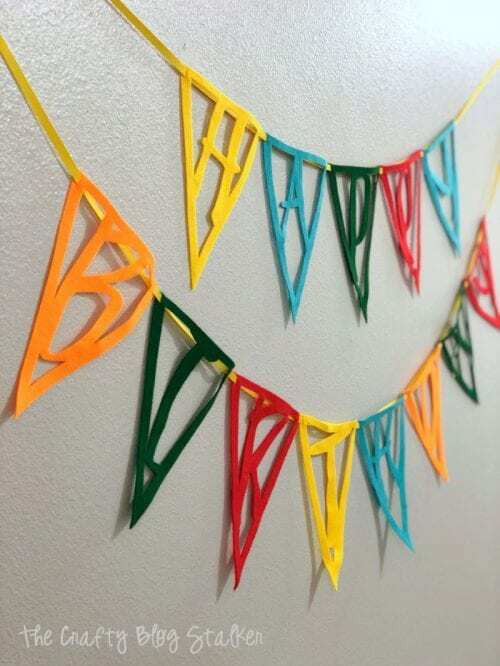 Let’s make a Birthday Pennant Banner to celebrate! We can have a Cricut DIY Birthday! 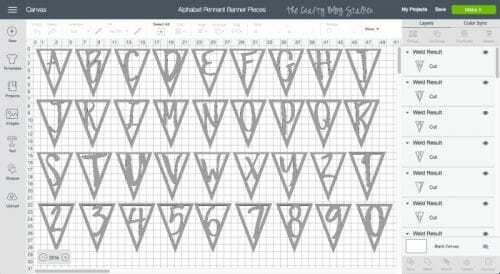 I designed these Alphabet Pennant Banner Pieces in Cricut Design Space and am so excited to show you how to use them in your banner. With pennants in all the letters of the alphabet and numbers 0-9, the possibilities are endless! Let’s start in Cricut Design Space. 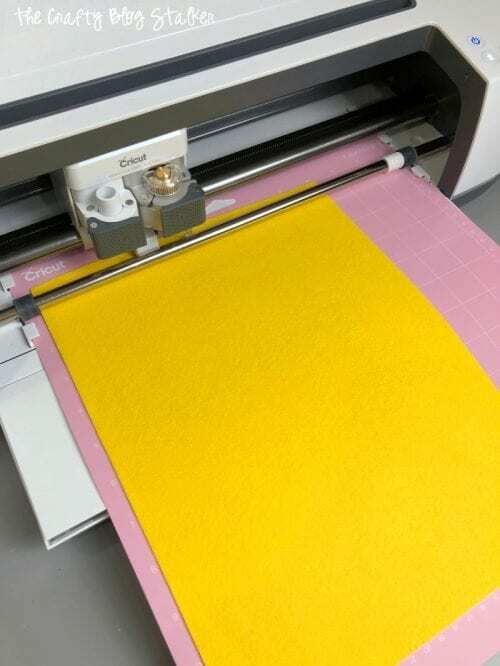 I created a video tutorial to show how to customize the banner size and how to cut the different colors of felt on different mats. Please subscribe to my YouTube Channel so you don’t miss out on any future video tutorials! 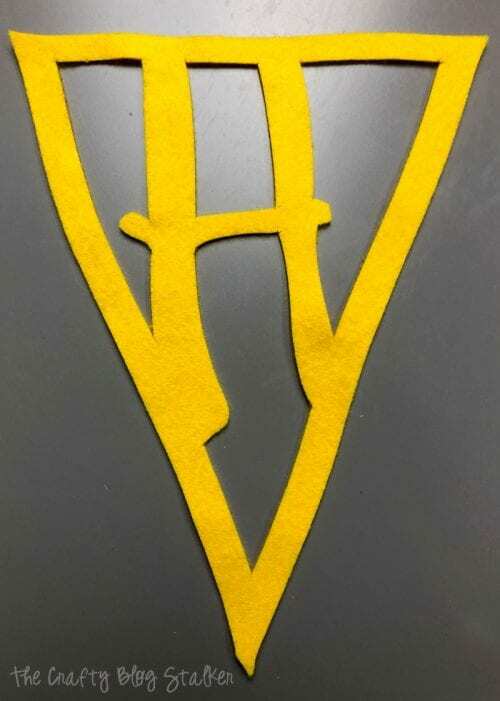 Once your letter pennants are chosen and ready to cut, click “Make It” and follow the prompts to complete the cuts! 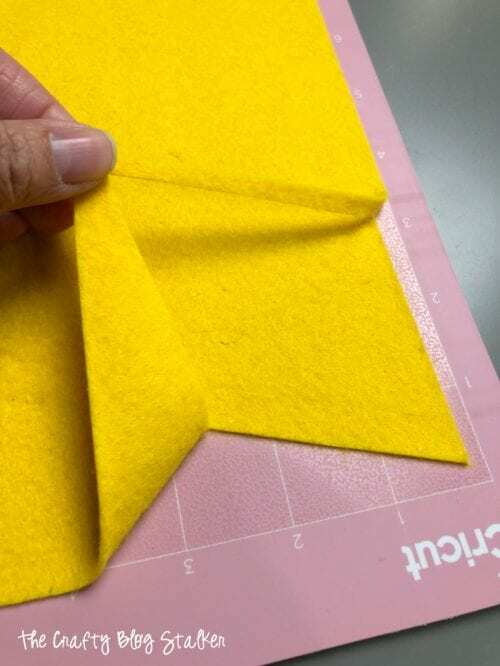 Felt is a fabric that can easily be stretched, so remove the pennants slowly and carefully from the sticky mat. 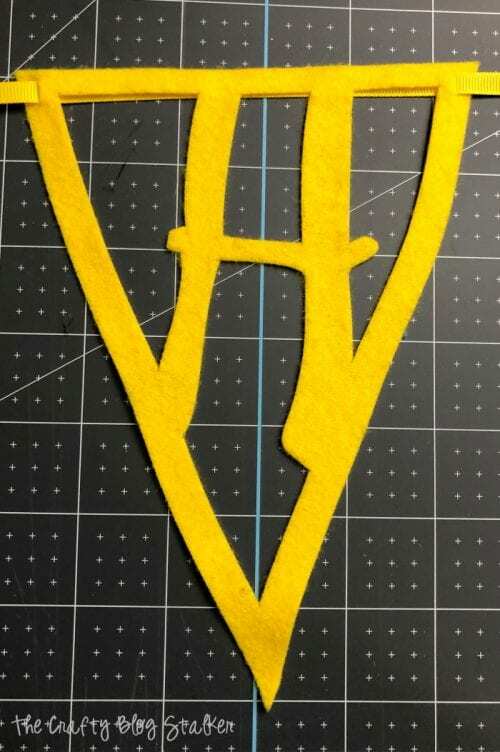 Here is the first letter H all cut and ready to go! Happy! Happy! Happy! 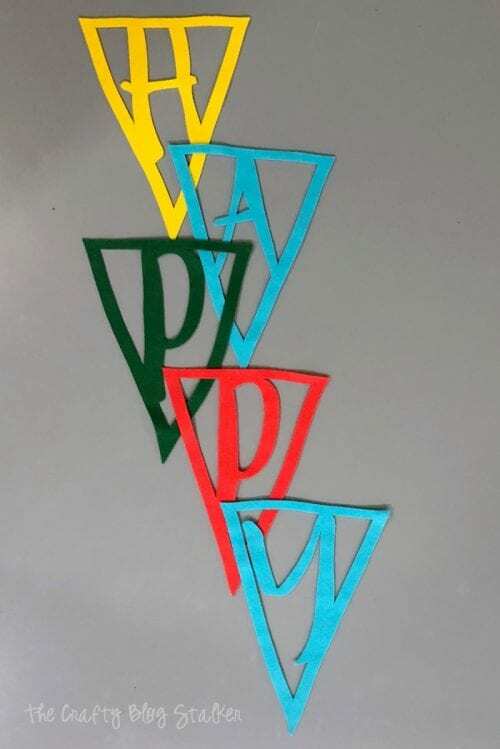 And so easy to cut all of the letter pennants out! I did not include holes in the corners of the pennants because depending on the size, the precut holes may have been way too big. Once the letters are all cut, simply cut a line the desired length with the TrueControl Knife. My ribbon is 1/4-inch thick so my holes don’t need to be very big. Then simply string the letters up! I like to thread the ribbon so it goes behind the pennants, but however you like it best is just fine. String the words along one length of ribbon or two like I did below. Either way you will have a great DIY birthday party decor with Cricut. With Cricut Maker you can make this banner out of all sorts of materials. Wood, craft foam, and of course paper! You could create an entire Cricut Birthday with all of the possibilities! Do you want your own Cricut Maker? I know you do! Click here or the image below to get your own! 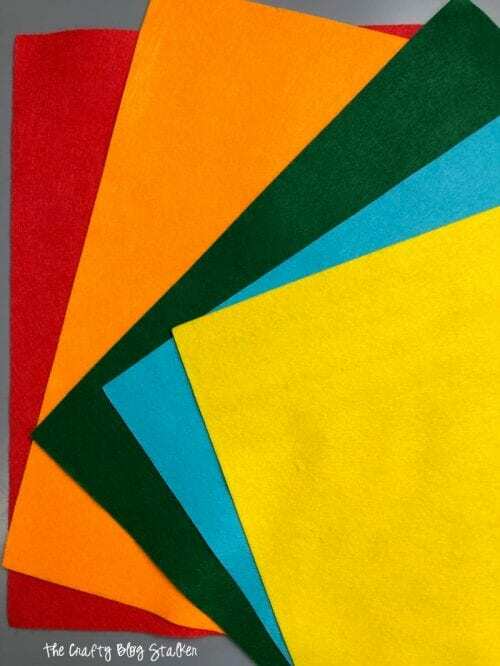 What color(s) will you make your Felt Pennant Banner in? Or will you be making a banner with a completely different word? Share and leave a comment below! 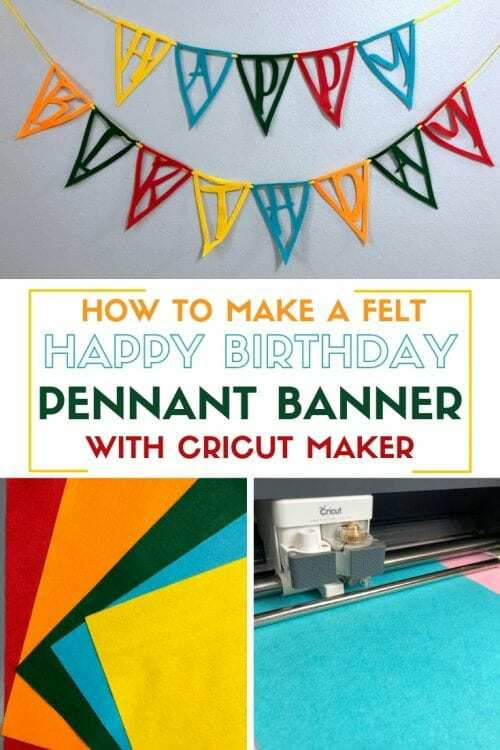 SAVE HOW TO MAKE A FELT HAPPY BIRTHDAY PENNANT BANNER WITH CRICUT MAKER TO YOUR FAVORITE DIY PINTEREST BOARD!